Bank is known in Birmingham as one of the cream of the crop restaurants that litter the Brindley Place area. Think of a large, clean, trendy restaurant with classic elements like the white cloth covered tables. There's a huge kitchen in the middle of the restaurant and customers are seated around it. Chic, classic, but with the lively elements of a New York restaurant Bank is the place to lunch or dine in Birmingham when you're in the mood for something finer than your typical venue. 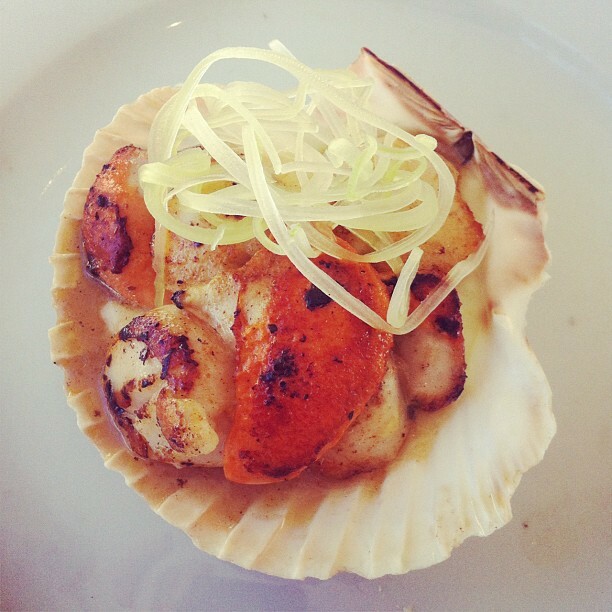 The scallops are so fresh, they melt in your mouth, and are just the right amount to whet your appetite. And they were served in an oyster, cool. Yum, and scrum-diddly. I adore chocolate fondant, and Bank knew exactly how to serve it - the salted caramel ice cream was the perfect accompaniment. During the summer it's nice to dine alfresco, and sit on the outside large white sofa's, and eat on Bank's cleverly placed seats. 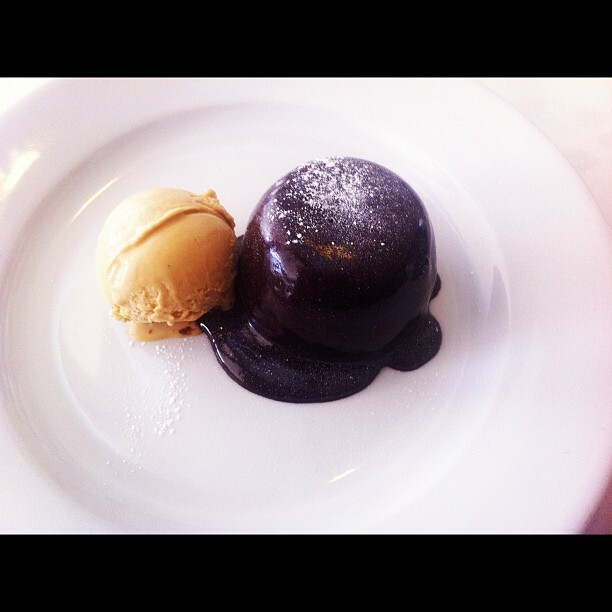 Find Bank in Brindleyplace, near the Sea Life Centre, and enjoy fine dining in an even finer setting. Book a table online, or give them a call. Or, follow them on Twitter, they are owned by Individual Restaurants and you can see why.